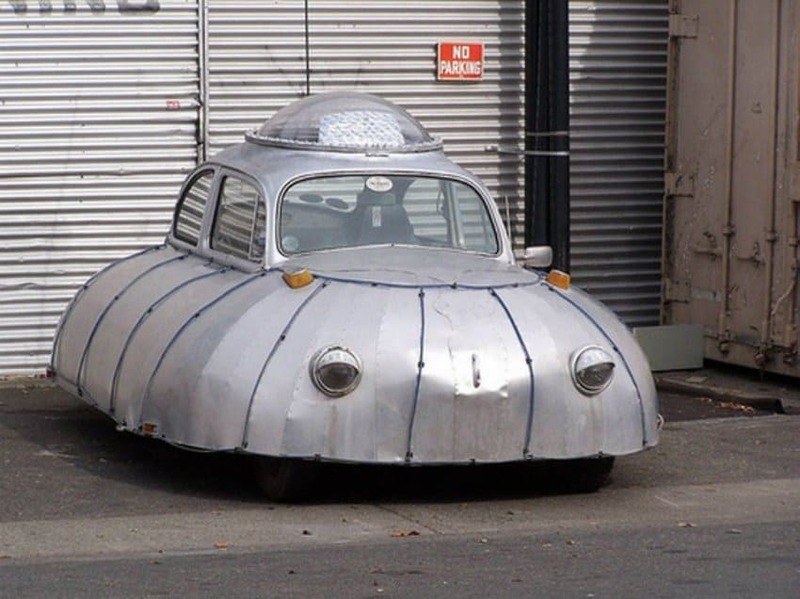 If you are a true UFO enthusiast, you should turn your car into a UFO. 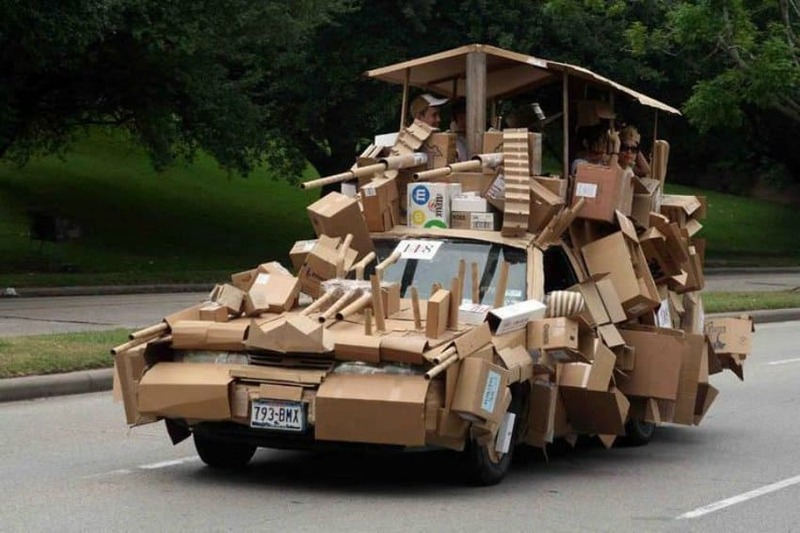 The maneuvering will be a bit tougher, but you’ll turn everyone’s head. How can you turn your already awesome cabriolet Ferrari into something that is even more outstanding? 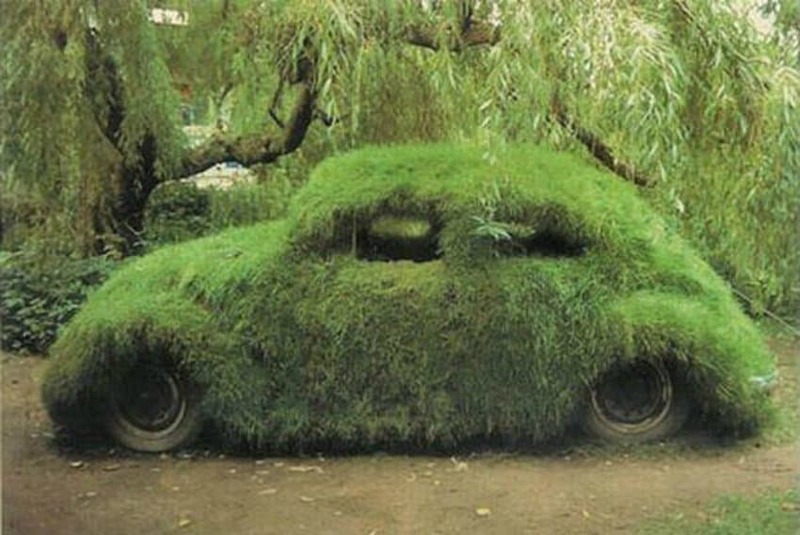 Make a limo out of it! 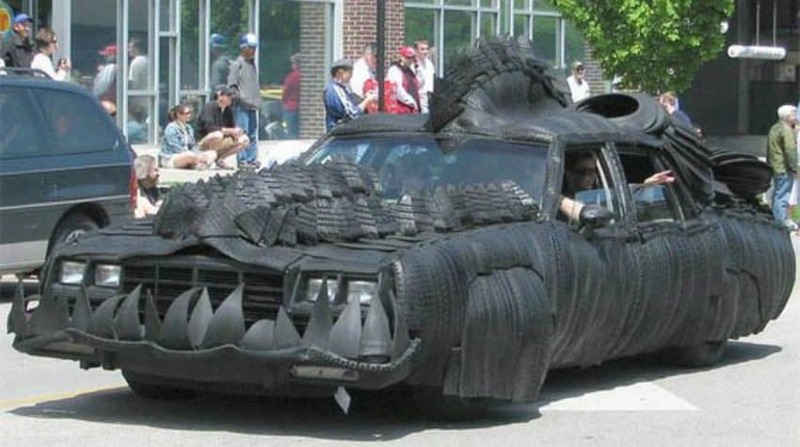 Everyone tries to customize their cars with the coolest tires ever. 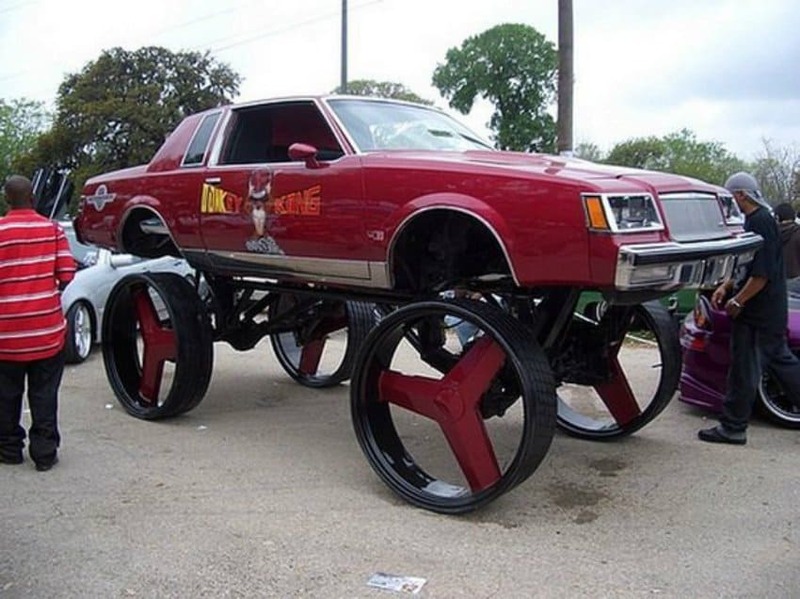 Sorry guys, someone has already achieved the best possible tire look! 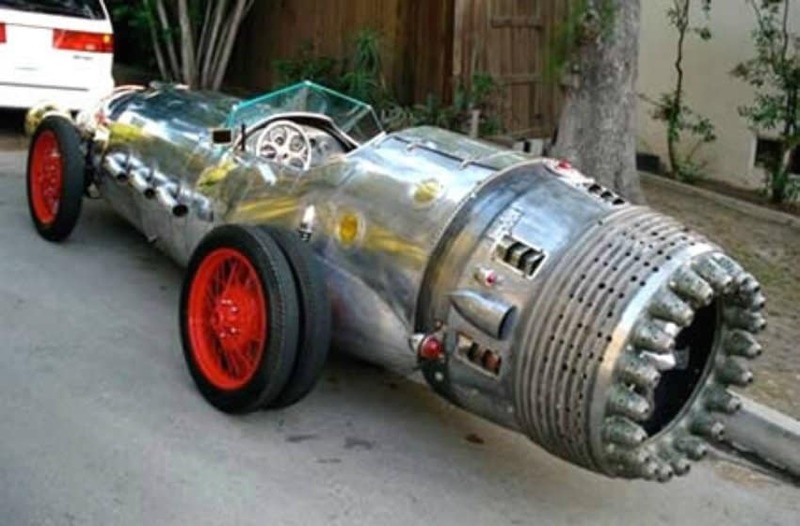 Coming straight out of Sci-Fi movies, the jet-engine car is simply extraordinary! 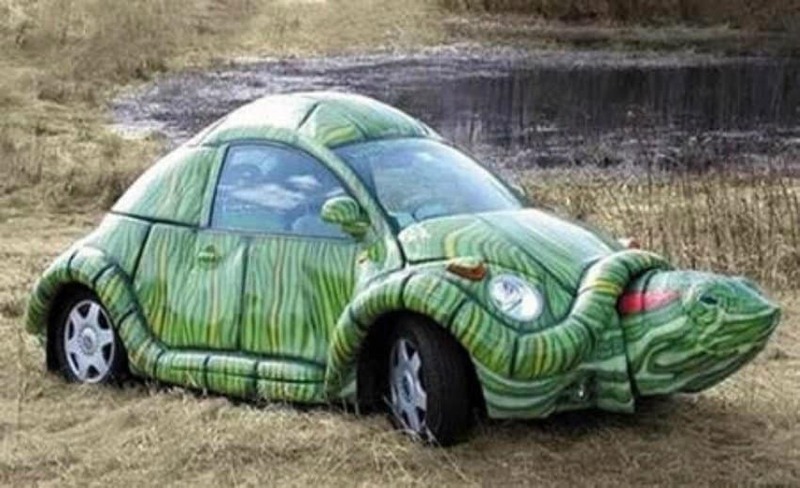 Is your car named after an animal, but not the animal you want? It seems like this person’s car was. 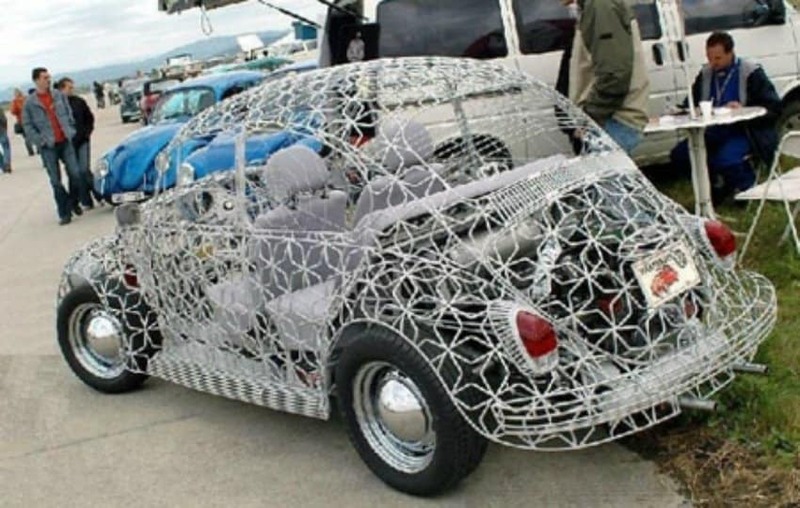 The design of this car simply speaks for itself – crazy, weird, but extremely awesome. Want to truly feel a part of nature. You can do that with this camouflaged grass beetle, which is one with its surroundings. 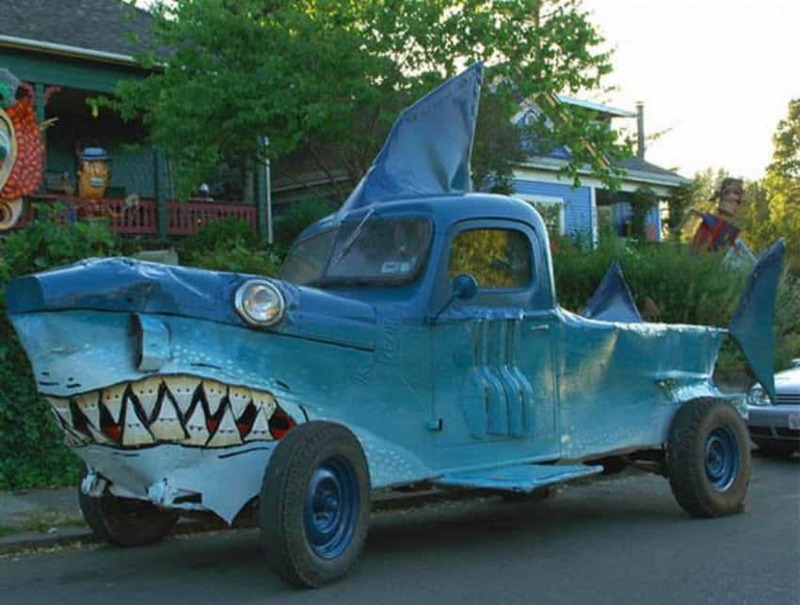 How do you make your pickup truck all the more crazy? Turn it into a shark!